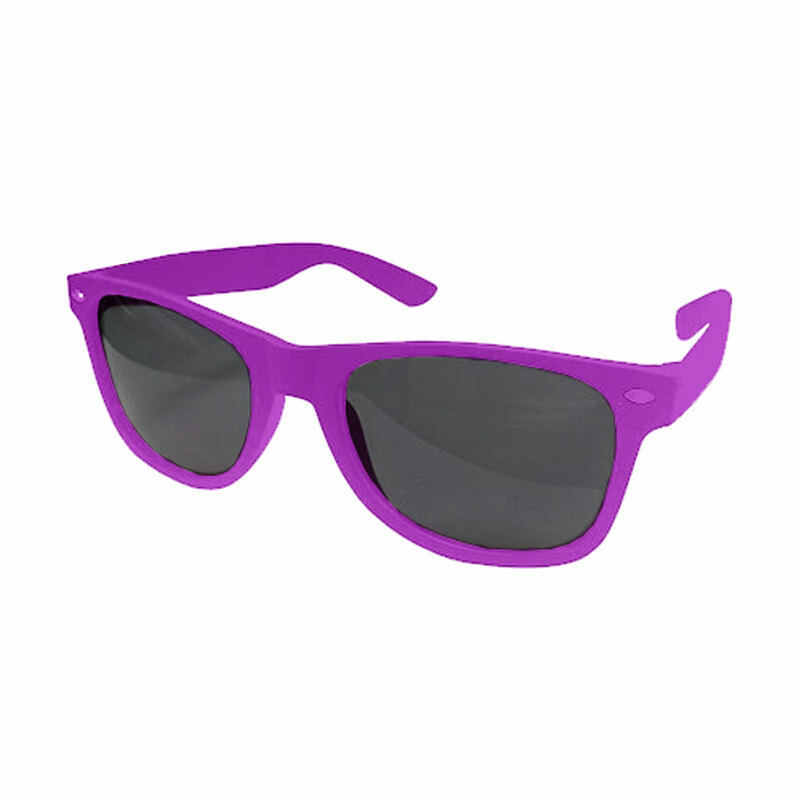 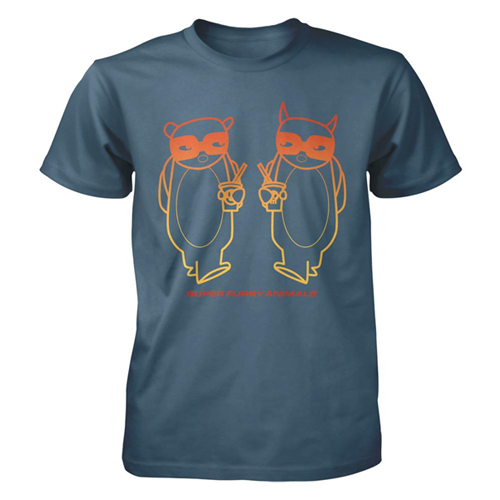 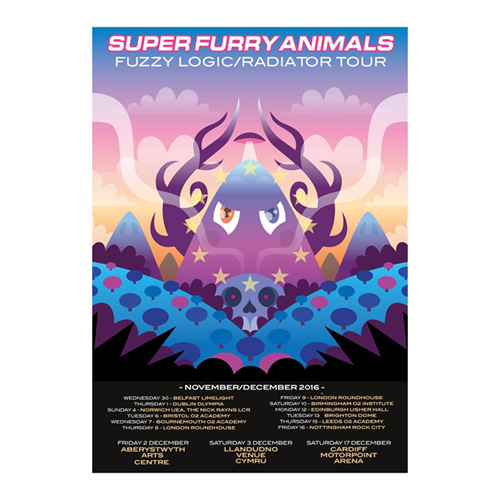 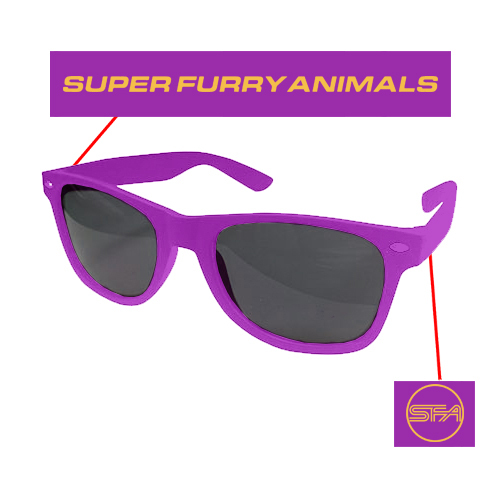 Super Furry Animals branded Sunglasses. 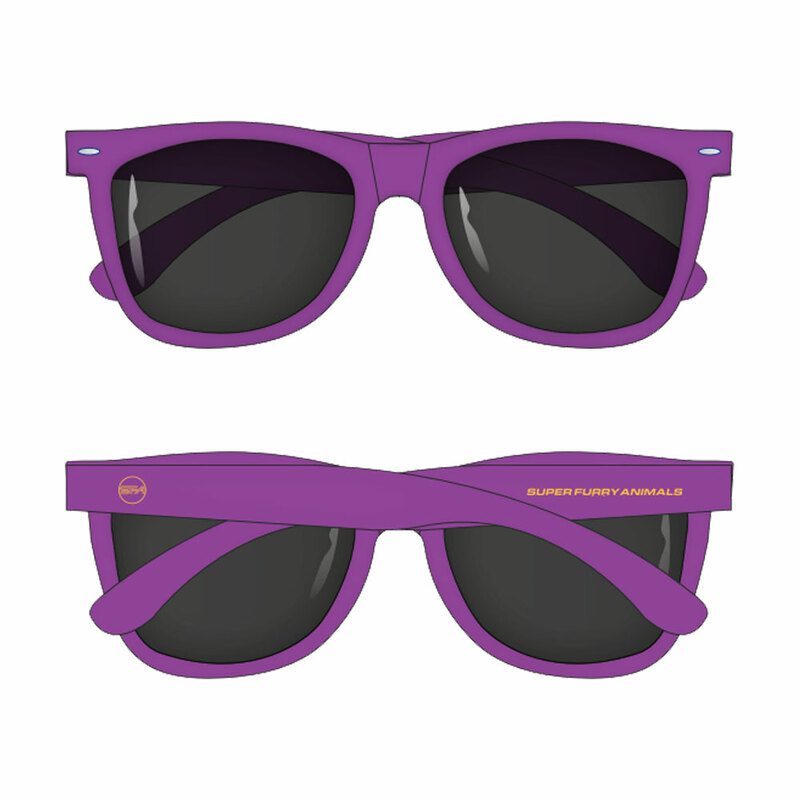 Purple frame with yellow detailing. 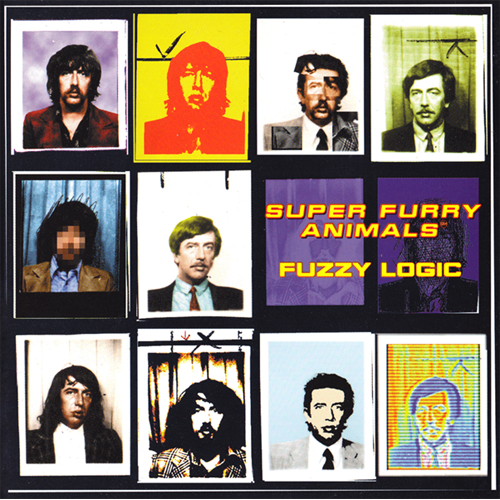 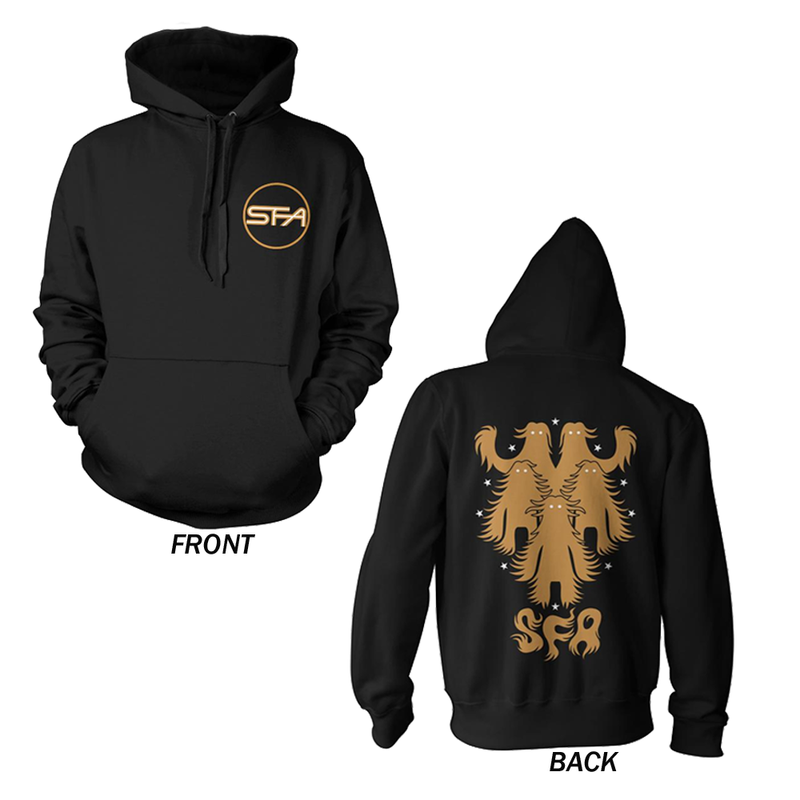 Featuring 'SUPER FURRY ANIMALS' on one arm, and the SFA logo on the other.